Our charming hotel rooms in Jonesboro are the perfect place to rest and relax after a lengthy day on the road. 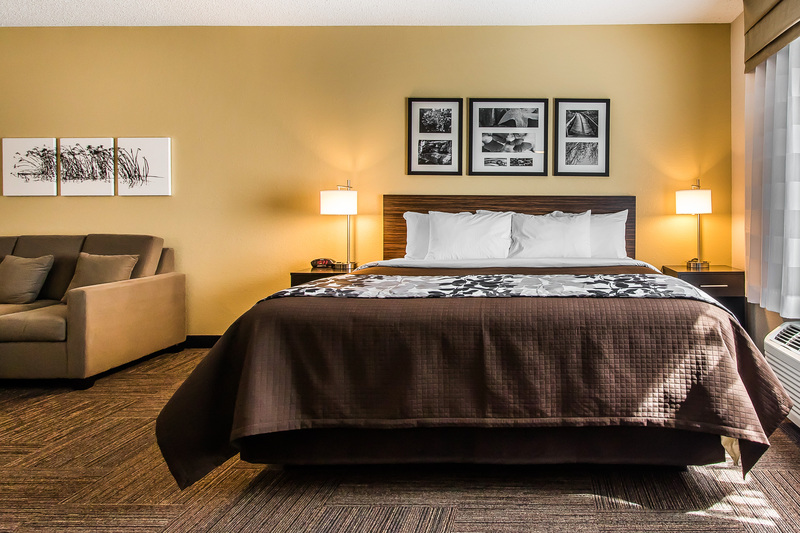 Built in 2015, the Sleep Inn Jonesboro is a Designed to Dream® hotel, featuring warm colors, soft lighting, nature-oriented designs and modern, elegant furnishings throughout the property. Relax in one of our spacious and well-appointed guest rooms, perfect for business travel, a group getaway, or a romantic vacation. Our King Rooms are perfect for a business trip, while our elegant king suites are ideal for a romantic getaway for two! Traveling with the family or visiting Jonesboro with a group? 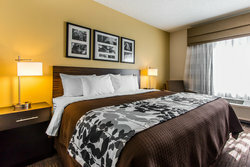 Our Double Queen Rooms and suites can accommodate up to four guests! 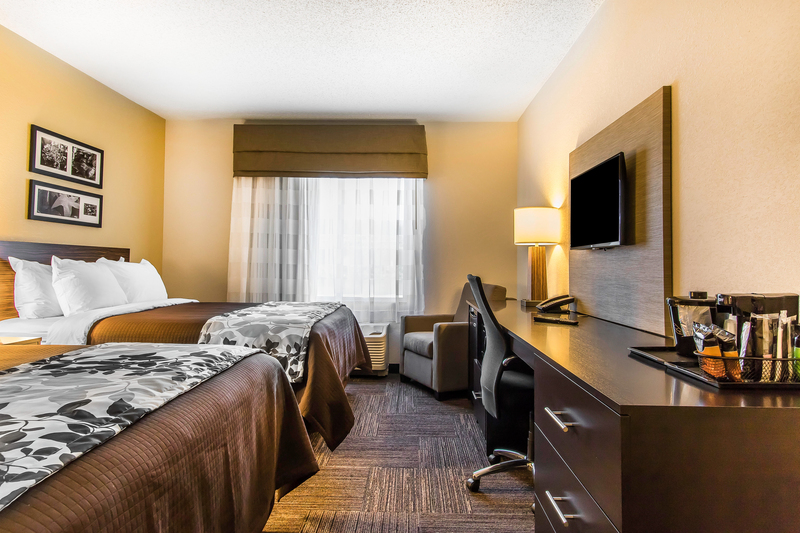 At the Sleep Inn Jonesboro we’re happy to offer accessible rooms, so that every guest of our hotel can enjoy a delightful stay. Featuring ADA compliant amenities like roll-in showers and grab bars, our Accessible King Rooms offer the same amount of charm and comfort as our standard rooms and suites. Each guest room of our hotel is equipped with luxury bedding and features amenities like a flat-screen TV, an in-room refrigerator, and complimentary toiletries. Guests staying at the Sleep Inn Jonesboro will enjoy our king and double queen suite’s spacious living areas, allowing each guest to feel at home! Each guest can enjoy our hotel’s special amenities, like our delicious complimentary breakfast served each morning, and our 24-hour on-site fitness center! Our hotel’s central location and proximity to area attractions makes us a prime choice when visiting Jackson Parish. 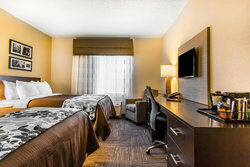 Book your stay at our affordable Jonesboro hotel today! Book your stay in our King Room, featuring amenities like complimentary Wi-Fi, a desk, a flat-screen TV with access to premium channels, luxury bedding, and an in-room refrigerator and microwave. Relax after a busy day on one of our plush king sized beds! Perfect for a family trip, our Double Queen Room features two queen sized bed adorned with luxury bedding, along with complimentary Wi-Fi, a desk, a flat screen TV with premium channels and complimentary toiletries. Built in 2015, the Sleep Inn Jonesboro is a Designed to Dream® hotel, featuring warm colours, soft lighting, nature-oriented designed and modern, elegant furnishings throughout the property. Enjoy an elegant stay in our large King Suite, perfect for a romantic getaway. Indulge in amenities like complimentary Wi-Fi, a microwave and refrigerator, a desk, and luxury bedding, all in a large room with a living room. Perfect for a romantic getaway, our king suites feature a plush king suites and a spacious living room. Ideal for a family getaway, enjoy a stay in our double queen suite! 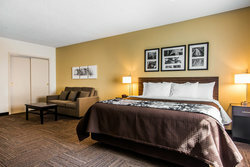 This large room features standard Double Queen Room amenities like luxury bedding and in-room refrigerators and microwaves, in addition to a large living area. Perfect for a group stay, our double queen rooms can accommodate up to four guests. 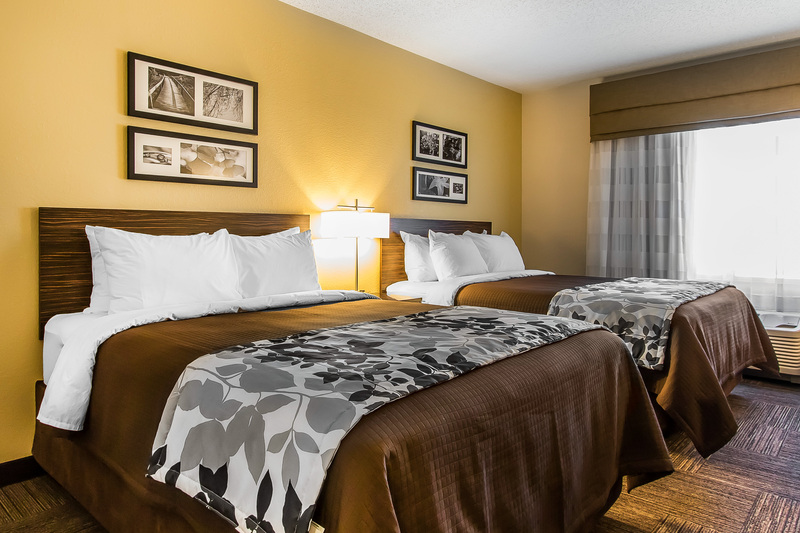 All guests are able to enjoy a stay at the Sleep Inn Jonesboro with our accessible room! Enjoy standard King Room amenities in addition to ADA compliant features like a roll-in shower and visual doorbell alert.